This lovely Gray In Spanish flashcard can be printed for free and used by school teachers and tutors for classroom lessons for young children. The color flashcard method is particularly effective when teaching toddlers, preschoolers and other young kids basic words, such as the word Gray In Spanish, and other simple vocabulary words. This is a free teaching resource which provides an education tool to schools. To print this large Gray In Spanish flashcard picture, simply right click on the image below and select the print option. This is a superb place to begin teaching children the basics of this language. Begin with simple words which are easy to remember. The picture card method has a high success rate as the pictures, coupled with the words in both languages including English, are memorable for kids and give them something which they can relate to. This is one of the easiest colors to learn as the word for Gray in Spanish is similar to English. 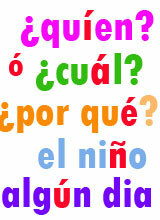 Printable Color Flashcards for Children and ideas for lesson planning and teaching the English language also. Free printable color Gray flashcard for kids and teachers. Picture cards with words for Gray In Spanish, grey, gris.